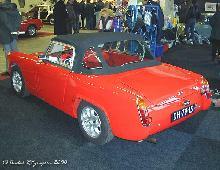 The Sprite received a new restyled body which now included an external boot lid and sleeker front wings. 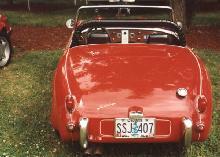 The trade mark "Frogeyes" disappeared and the Sprite had now become the Sprite Mk II. 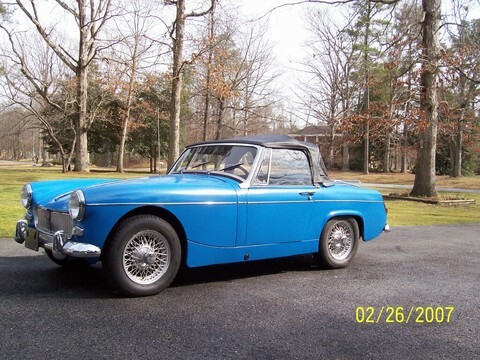 The new MG Midget version was almost identical apart from the badges and some extra chrome trim. 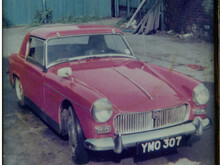 The convertible hood was of the "build-it-yourself-hood-frame-type", complete with canvas/Perspex side screens and no external door handles. 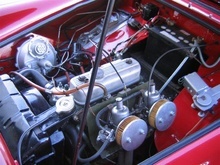 Mechanically the original 948cc A-Series engine was used to start with, although this was superseded in 1962 by the more powerful 1098cc A-Series unit . 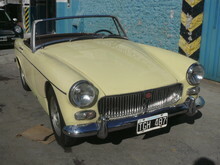 The 1962 version also featured front disc brakes to cope with extra power. 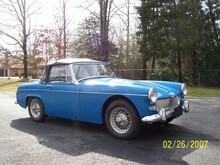 In 1964 the Mk II Midget was replaced by the improved MkII. 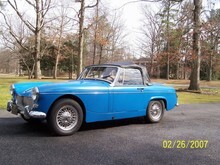 Practical Classics October 2009 - Featuring Buyers Guide Austin Healey Sprite and MG Midget (1958-1979). Click Here to view in our shop. 6' 8" 3' 9" 11' 4" 4' 5" 0 (12) 0' 0"